The Official iOS App for The Championships, Wimbledon, the only tennis Grand Slam on grass. Live from the All England Lawn Tennis Club, London. 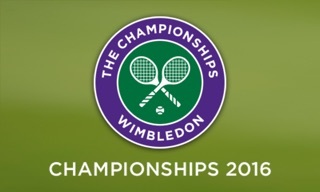 The Championships, Wimbledon runs from 2 July to 15 July 2018, with qualifying starting from 25 June. This app will cover the build-up, qualifying, and every ball hit during the Wimbledon Fortnight. It will also update all year round with news, photos and videos from Wimbledon, and visitor information for those attending the Museum & Tour. Streamlines the app on-boarding user experience on first time use. Made some areas of the user interface clearer. Added social sharing to videos. Boy what a time I had to finally fulfill a life long dream of making it to Wimbledon to was tennis at the classic All England Tennis Club where stars are born and legends live forever. Even more special was me getting to see my tennis heroine Serena Williams G. O. A. T play on Day 1 of the championships. I had the time of my life walking the grounds shopping for Wimbledon souvenirs while bumping into friends who made the journey as well and sharing a cold drink, strawberries & cream, laughing and reminiscing about all things tennis. After dreaming about going to Wimbledon for 30 years we unfortunately did not enjoy the day. We had court 1 tickets with the gatsby club. We paid as much as a flight to China. The gatsby club was too far away from the courts and they seldom had a golf cart available to bring you back and forth. The lunch was good, but they ran out of afternoon tea sandwiches. The outside bartender was entertaining and skilled. The court 1 seats we had were pretty good but the arrogant people behind us had their shoes on the backs of our chairs. We tried getting in to the other courts to see some other favorite players, but because many courts have barely any seats we stood in line with no chance of getting in. Luckily there was an area up above the court Gulbis was playing on and we stood for 2&1/2 hours watching him win. The strawberries were delicious but the cream was bland. There was a line a half a block long to get a Pimm’s. On a happier note, It was my first time in London and I truly enjoyed the city and culture. We had cozy accommodations, lovely meals, and a fantastic tour to Stonehenge. I will always enjoy watching Wimbledon but...from the comfort of my living room going forward!